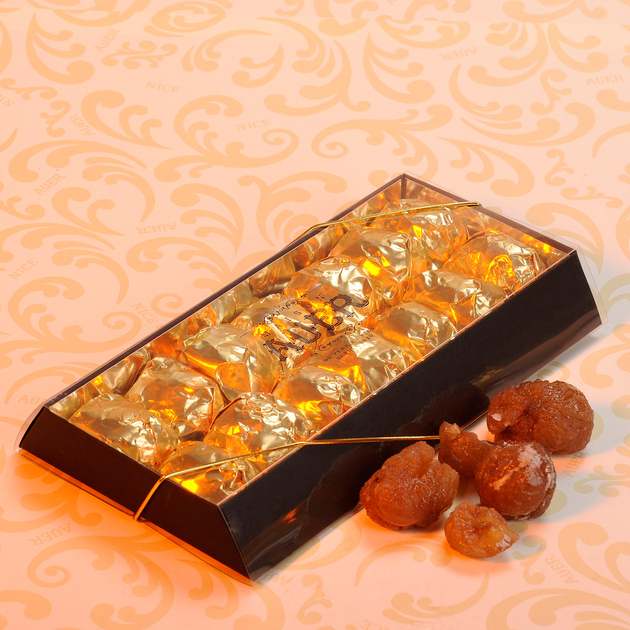 Our candied chestnut is a delicate confectionery packaging that deserves to live up to its quality. We wanted to offer you a pretty black and transparent reglette for a package worthy of it even when you buy them for your personal use. You can still offer it without worries. 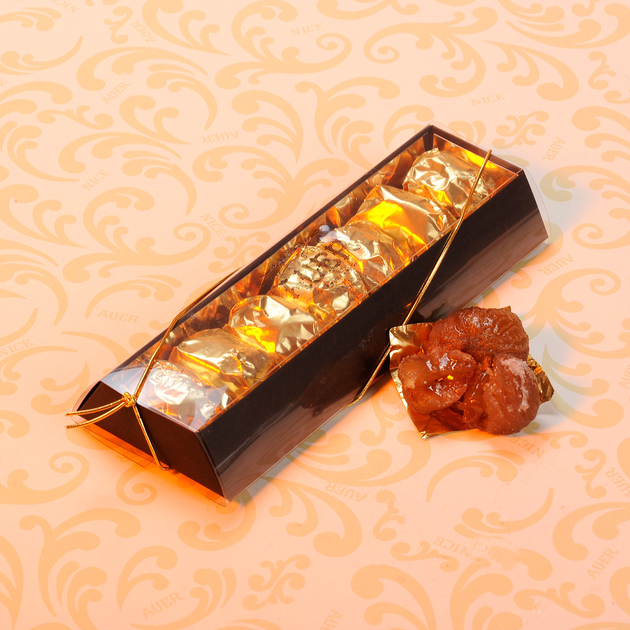 The number of chesnut in the box T3 can vary from about two chesnut, depending on the size of the fruit.